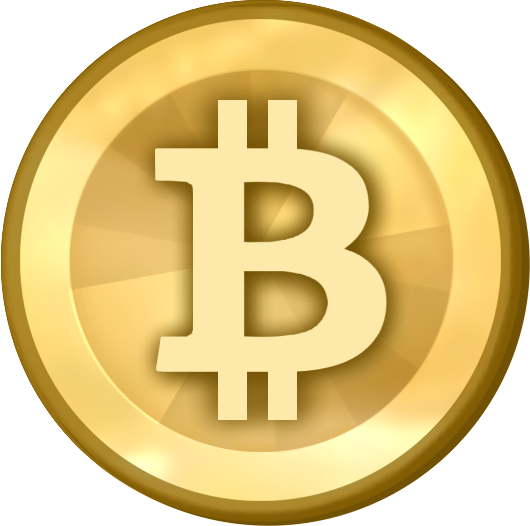 I have been interested in cryptocurrencies ever since I first stumbled on them (Bitcoin) in 2010 on Slashdot. Later on, I also checked out Finland’s first Bitcoin company (Bittiraha) in 2013 in Slush. Since then, cryptocurrencies have gone a long way. Bitcoin’s value has risen from zero to about 15.000 eur, and today there are over a thousand cryptocurrencies. Lately, cryptocurrencies have got a lot of visibility in mainstream media since bitcoin’s value has been growing very rapidly (+1700% gain this year), but also because it has had a lot of volatility (even +/- 20% per day), which makes great headlines. There have also been ICOs (Initial Coin Offerings, which are somewhat related to Initial Public Offerings), which have been a novel way to raise money. Some ICOs have been great and some have been plain scams. So, a lot of new things and drama, which goes fine with any media. I haven’t participated in cryptocurrency mining before, as I have understood that it requires a top notch GPU, which I have lacked. Also, mining hasn’t been as profitable as it is today, and of course, there has been doubt regarding the development of cryptocurrencies. Will they have any value in the future? Which one(s) of them will survive in the long run? And so on. But now things have changed. Not that I still have a great GPU, but cryptocurrencies (mainly Bitcoin) are now widely known and making their way to traditional stock broker trading with different trackers, futures and CFDs. It looks more likely that they have a future, and at least bitcoin should survive. Today, I took a new look at cryptocurrency mining. The idea was to update my knowledge on the current situation of the tools and mining profitability. I already believed that the situation must have changed quite a lot, since valuation had changed so much. I was also ready to try mining myself in case it turned out to be profitable. First, I searched the web for some comparison information on mining different crypto coins and I found the Cryptocompare service that showed it nicely for the few top cryptocurrencies. With the current high valuation, all but Dash were profitable. Then I decided to see if any of those (or other) crypto coins could be mined efficiently with CPU (as I have CPUs available). I found another website that was tracking CPU mineable cryptocoins. (Note: Seems that the site is not updated since 2014/6 (blog/twitter/added coins), but it was enough for me to get started. I looked through their list, but it did not indicate which one of them would be the most profitable to mine. Minergate provided help for the comparison. I also checked out the other currencies from the cpucoinlist, but it seems that they have been pretty much abandoned. So, Monero (XMR) looked like the most profitable cryptocurrency that could be mined with CPU. It also had the biggest market cap of CPU-mined cryptocoins, so it was an easy choice. Next, I needed to find the best application for mining Monero. First, I searched some related threads in bitcoin talk forum and then I took advice from the Monero mining pool /1/ minexmr. In the end, I selected XMR-Stak, which runs also on Linux, my target environment. I was still not interested in running a mining machine at home, with busy & hot CPU, but I had another perfect place for it. I installed it on my virtual private server (VPS) that runs this website and some of my other services. That machine is quite powerful (and also lacks GPU), but the CPU utilization is usually not very high. In my VPS, I have used Linux containers (LXD), and they make it easy to set up limitations for the app/container. I thought it was a pretty perfect setup for this experiment. I would manage to harvest the idle time of the CPU I already paid for without limiting any of my other needs. In my setup, the mining container can take up to 80% of the CPU power when other processes don’t need it. Update 2018-01-10: I have been running this setup for about three months now. In that time, I have managed to mine a bit more than 0.25 XMR. A linear estimation would result in about 1.1 XMR in a year. With today’s valuation, that would be about 340 eur/year. Which happens to be about the same as what the VPS costs me in a year… So, not a bad arrangement. Having a server to do the stuff I need done, and at the same time mining money that will pay for the server’s rent. Update 2018-04-12: Monero was forked and I needed to update my mining app. At the same time it was good to take a look how it is going otherways. So far I have managed to mine 0.35 XMR. That it only 0.10 XMR more since three months ago, so linear estimation assumption for the mining results doesn’t look so valid. But what would be a good estimation for the future gains ? That is very hard to says as the monero mining difficulty will change so much. I will need to check it again after some weeks, if it would have stabilized after the fork. Otherways the value of the monero (XMR) has gone down to 150 eur. Nowadays, everything is moving from local setups and installations to clouds and services. Thus, also cryptocurrency mining is available there. I also looked into that, but more about that in the next post. /1/ A mining pool is a service that pools miners’ mining resources over network and then splits mining rewards back to the miners. Pools are needed because otherwise, it could take slower miners a very long time to get any mining rewards back. Mining pools usually take a modest commission fee like 1% from their services. So I decided to join one of them, too. In case you follow my steps, you can select your pool from this list of Monero pools.